How Do I Create Special Candies And What Do They Do? Match Candies next to Truffles to collect them! These may require multiple matches to collect. Candies that are matched on top of Jelly will collect it! 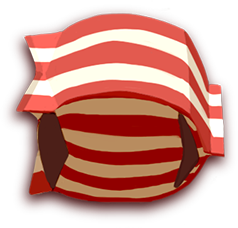 You can only collect Jelly from covered squares that have a Candy or Item on top of them. Drop a Potion to a Potion Square to collect it! Chocolate Bars are hidden behind a layer of gum! Make matches over the gum to reveal the Chocolate Bars. Gum can come in multiple layers. Match Candies next to Chocoblocks to collect them! These treats can’t be moved, and may come multiple layers. Make a match with the Candy inside the Toffee Cage to shatter it! Candies in Toffee Cages cannot be moved until they are freed. Toffee Cages can come in multiple layers. Matching Raspberries will leave behind delicious Jelly! Match Candies next to Candy Floss to collect it! If you do not make a match next to Candy Floss, it will spread over more Candy. Make matches next to Soda Cans to collect the Soda! Make matches next to Gum Cages to free the Candy inside! Candies inside Gum Cages can’t be matched. Gum Cages can come in multiple layers. Make matches on top of the Curse to remove it! Cursed Tiles can come in multiple layers. Make three matches next to a Jelly Jar to place Jelly on the board! Matching Bon-Bons will coat nearby Candies in sugar! Make three matches next to an Ice Cream Tub to place Ice Cream on the board! Match Ice Cream to collect it! 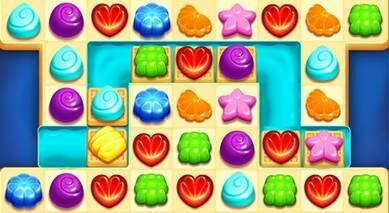 After every move, Candies that land on the Color Changer will change color to match the tile. Make three matches next to a Candy Jar to place more Candies on the board! 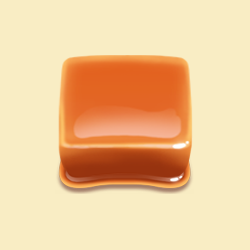 After every move, Candies that land on the Sugar Tile will become coated in sugar! Match next to the Cookie Box to reveal what’s inside! You must reveal all the Cookies to collect them! Sometimes, there may be different colors of Cookies to collect! Make matches next to the Growing Gum Cage to free the Candy inside! Candies inside Growing Gum Cages can’t be matched. After three moves, the Growing Gum Cage will return! Make three matches next to a Chocolate Egg to create Special Candies! After each move, any normal candy sitting on a Truffle changer will change into a Truffle! After each move the soda waves move the waffles one place! Trixie potions are nasty! They just exist to get in your way! Doublers double any candy matched on top of it! Great for speedy collection on those collection levels! 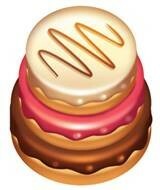 When they begin to spin, the following move will trigger the Candy on the Candy Switcher to be teleported to another Candy Switcher of the same colour. Match against Popcorn Buckets to empty them, let them fill up and popcorn will fly all over the board. Toffee Blocks are permanently stuck to the board. There’s no way of removing Toffee Blocks! These blocks get in the way, and like Matchmallows they block line bombs and other special matches.